Do you live by the motto that everything has a place? Do you have closets and dressers to organize clothes? Do your dishes, pots, pans and utensils all have their own spot in your kitchen? What do you do with your towels, books and toys? If the answer to these is simply that you have an organization system in place for your house, then bravo. Now, can you say the same for the items in your garage? 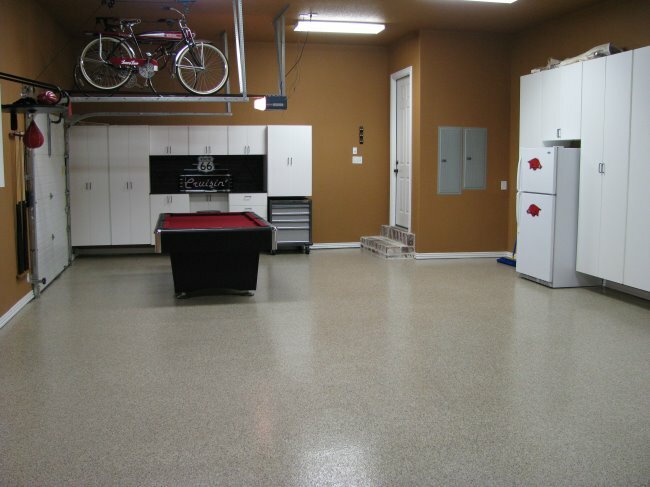 Oftentimes as clean as your house may get, your garage might get overlooked. Do not fret. There is a solution so that all the items without a home will have one. Garage organization is a simple tool to use with the help of the right company. Cabinets and shelves can be installed in a garage in order to help organize your cluttered or boxed goods. You can create storage for tools so you can easily find them when home maintenance needs to be completed. Cabinets can be a good place to put loose nails and screws. They can also fit gardening tools and gloves. High, sturdy shelves can be put in place to store items that are not used as often. Lower drawers can store items for the kids including outdoor toys and sports equipment. Things that didn’t have a home in the house can now have one in the garage. When installing cabinets and shelves, the tops of the cabinets can be used as a workspace. You can now finish the woodworking project you started or the art project that is too messy to do inside. Also, now that you will have more space in the garage, the empty space can be used as a play area for kids. You can also put a ping pong table or pool table in the areas that used to be filled with boxes. Once you have garage organization, the possibilities for your space are endless. An innovative professional can transform your space by designing the perfect garage organization system specifically for your needs.